A tiny baby with a heart defect has finally made it to Portland after a judge blocked Trump's order, and his life may have hope once again. Little Fatemeh Reshad had a life-threatening heart condition, and she faced the end of her short life if she did not receive life-saving surgery soon. But she and her Iranian family were denied from going to Portland to get the surgery under President Trump’s immigration order. Now that the order has been overturned, she has surgery set up that could save her young life. 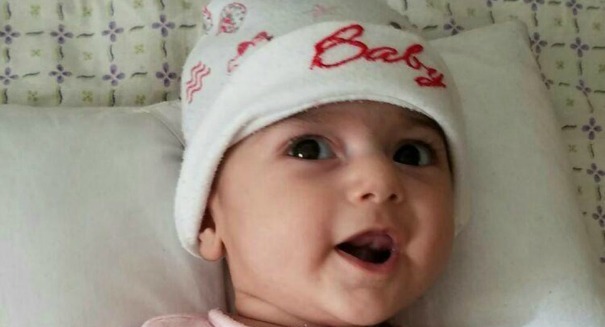 Fatemeh will be treated at OHSU Doernbecher Children’s Hospital in Portland. She arrived in the United States on Tuesday, Feb. 7, after a federal judge blocked the immigration order. The family wanted to bring their 4-month-old to the hospital because of its reputation for this particular type of surgery and because it is near relatives. Fatemeh now has to undergo diagnostic studies to examine damage to her lungs and to prep her for surgery, and so far things are going well. “The procedure went well today. The results were very encouraging. Despite the excess of blood passing through her lungs we believe we can proceed with surgical correction as planned,” said Laurie Armsby, M.D., associate professor of pediatrics and interim head, Division of Pediatric Cardiology, OHSU Doernbecher Children’s Hospital, OHSU School of Medicine. “Fatemeh’s heart defects can be repaired by closing the holes in her heart and reconnecting the transposed arteries to the proper pumping chambers of the heart,” said Irving Shen, M.D., professor of surgery and head of the Division of Pediatric Cardiac Surgery at OHSU Doernbecher Children’s Hospital, OHSU School of Medicine, and a nationally accomplished expert on Fatemeh’s condition.